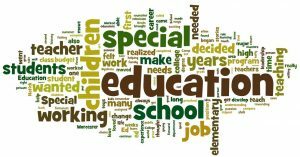 The Individualized Education Program (IEP) discrimination resulting inan ineffective way of learning. Individualized Education Program education plan for the whole year which will address the needs of the student based on his capacity for learning. The Individual with Disability Education Actunder IDEA must be made. Parents may also opt to contact the “Child Find” and have their children evaluated to qualify for IEP. The school or the teachers may also do a referral if they think a child has special needs, but they must first ask parental consent. Parental consent is a requirement for a child to be evaluated. Independent Education Evaluation (IEE) instead. Once the evaluation is done, the parents and the authorized professionals then will study the results and decide if the child is a “child with adisability” and is eligible for an IEP. Again, if the parents disagree with the results, they can request a hearing to question the decision. Once the child is evaluated by IDEA to be a “child with adisability,” the IEP team should then set an appointment to meet and create the IEP within 30 days after the child has been approved for the said program. The school is the one who makes and conducts the appointment. The parents should be well informed of the details of the appointment to make sure of their full cooperation in preparing the education program for their child. After the IEP is planned and approved, the parents will be given a copy, and the teachers and other professionals involved will be given access to the IEP and be made aware of their responsibilities in implementing the program. Progress is also evaluated. There will be a certain goal for each student to achieve in a school year, and this will be the standard of evaluation. It will determine if the child will be able to meet the expected progress within the year. The IEP of the child is reviewed by IEP professionals together with the teachers and parents at least once a year of if deemed necessary. They can make modifications to the program based on the review of the program’s efficiency. Both parents and teachers may suggest or recommend strategies that will make the program more efficient for the child. 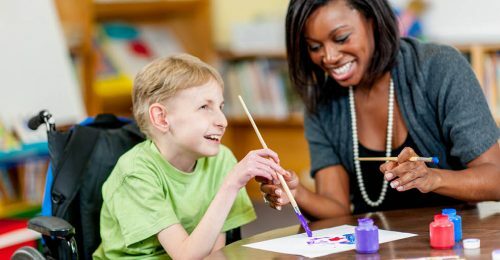 The “child with adisability” must be re-evaluated once every three years in order to determine if the child still has a condition that warrants IEP. This could also be requested by the school if need be. 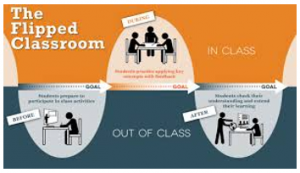 Individualized Education Programmented successfully, there are requirements and steps to be followed. More than anything else, the parents’ cooperation is the number one requirement in achieving the appropriate education for their children.